Do you think you have the capability of leading a group? Do you want some inspiration from the world’s best leaders? You’re here at the right place. Wisdom Times happily presents to you the 51 Best Leader Quotes. I was inspired by this leader quote. With these 51 best leader quotes we hope you have had enough options to mould yourself into becoming a good leader. 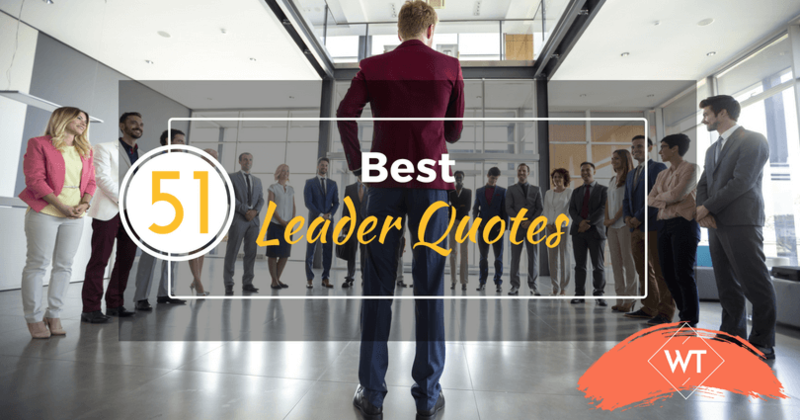 We would definitely want to add your quote one day to this list of best leader quotes and it would be our pleasure to do so. If you want to know what it takes to become a great leader and if you are looking out for some of the credible qualities of a good leader, you must check out Wisdom Times’ article on Qualities Of A Good Leader which will definitely help you to ignite your career and build a successful life.